No matter how old you are, sometimes a little bit of help can go a long way in terms of how you look and the way you feel about your appearance. Here at Palos Verdes Plastic Surgery Medical Center, we offer a comprehensive array of options that can be ideal for patients in specific age groups. These procedures can help you rejuvenate your skin, maintain a youthful appearance, enhance your body contours, and address a number of issues that may be having an impact on your self-esteem. Our board-certified plastic surgeon, Dr. Christine Petti, offers advanced treatments for both women and men who want to attain their goals with results that look natural. Please take a look through the following sections to find out some of the best available treatments for issues you may be experiencing, and contact Dr. Petti today to schedule a consultation. What can often be the most exciting years of our lives may also be the period where we are most self-conscious. Unhappiness and dissatisfaction with how we look as teenagers can have a profound impact on our self-esteem. The good news is: there are a variety of cosmetic enhancement options that can address common aesthetic issues teens face and help them walk out into the world feeling more confident with the way they look. Procedures such as rhinoplasty can reshape the nose for a more balanced symmetry between facial features, or correct functional issues such as a deviated septum. Breast reduction surgery can reduce excess fat and skin in the breasts so that they are more proportionate to the overall shape of the body. Less invasive treatments such as laser skin rejuvenation and IPL therapy can diminish signs of skin damage, discoloration, and acne scarring. In addition to establishing healthy eating and exercise habits, avoiding tobacco, and protecting the skin from harmful ultra-violet rays, teenagers who would like to enhance their appearance can find help from Dr. Petti. Our treatment options are designed to improve a number of cosmetic issues and with beautiful, natural-looking results. By the time we’ve reached our 20’s, we are still in our prime and are likely embarking on exciting paths to new careers, new challenges, and new social circles. This is the time that you may start noticing early signs of wrinkles, sun damage, and spider veins. It’s also the time when you may begin to wonder if you might benefit from procedures that can enhance the appearance of your face and body. Plastic surgery and cosmetic enhancement options such as breast augmentation, liposuction, SmartLipo Triplex™, rhinoplasty, BOTOX® Cosmetic, and minimally invasive procedures can enhance your contours, maintain a youthful appearance, and help you feel great about the way you look as you embrace new and wonderful adventures through your 20’s. Marriage, raising families, maintaining an active single life, success in our careers, and truly realizing our ambitions are some of the hallmarks for many of us once we’ve reached our 30’s. This is also the time when stress and the natural process of aging start to take their toll in a more noticeable way. This can be especially true for new moms as they see how hard it can be to reverse the physical effects that pregnancy and child-raising often have on their appearance. In your 30’s, it is very important to establish a regular exercise routine and a healthy diet in order to keep health problems at bay as well as to maintain a vibrant and refreshed appearance. Cosmetic enhancement can be a great way to augment a healthy lifestyle, helping you to improve issues you may have with the way you look and maintain a youthful appearance for years to come. Dr. Petti offers Mommy Makeover procedures to provide new mothers with comprehensive, custom-designed treatment plans that can restore their pre-pregnancy figure. She can also perform breast lift surgery to give the breasts a firmer, more youthful appearance; liposuction to eliminate pockets of excess fat that are resistant to diet and exercise; tummy tuck surgery to give the abdomen a flatter, more athletic appearance; injectable facial fillers to reduce signs of wrinkles or add volume to the lips and cheeks; cellulite reduction with Cellulaze™; or other treatments that can help you meet your goals. The vital, youthful, and energetic 30’s can be beautifully reflected in your appearance with a range of aesthetic enhancement options. Don’t be afraid – 40 doesn’t carry the stigma it used to carry! However, the “in-my-40’s” period of our lives will likely see more prominent signs of age. The facial appearance tends to be affected by visible wrinkles and sagging skin, possible even loss of volume. Plus, areas of the skin may be losing collagen and elasticity, and our body may be retaining fat more easily than in the past. With healthy diet and exercise, many of these changes can less severe; however, a little cosmetic enhancement can be a lot of help. Injectable dermal fillers can enhance your facial appearance – or, for more long-term results, a surgical facelift may be a better option. 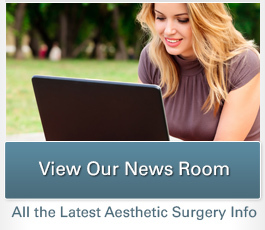 Tummy tuck surgery and liposuction can be effective for reducing stubborn fat deposits; and breast enhancement can provide the breasts with a rejuvenated and contoured appearance. Cellulite can be significantly diminished with the advanced Cellulaze™ procedure. Plus, a variety of non-surgical options and laser resurfacing procedures can still provide effective results without long recovery times. Your 50’s can be vibrant and youthful, still full of adventure and possibilities as you see the kids begin their adult lives and you continue on with an active and exciting lifestyle. While gravity and the natural signs of aging may be taking a more prominent toll on your appearance, there is a full range of cosmetic options that can help you maintain the look you desire. Deep wrinkles, excess skin in the neck, and other signs of facial aging can be enhanced with facelift and neck lift procedures. Eyelid surgery or browlift can also be very beneficial for renewing the upper portion of the face and giving you a more rested and refreshed appearance. Other facial rejuvenation treatments, such as dermal fillers and laser skin resurfacing can also be effective for patients who may not need surgery to attain their goals. Body contouring and breast enhancement surgery can work wonders at improving the shape of your physique and the firmness of your skin. The combination of aesthetic enhancement treatment and a good diet, regular exercise, protection from the sun, and avoidance of tobacco products can help you look and feel great right into your 60’s, 70’s, and beyond! If you would like more information on how you can attain your enhancement goals at virtually any age, please contact Dr. Christine Petti. She will be happy to meet with you for a one-on-one consultation to discuss your options and develop a customized treatment plan.